Offering Make Services for all occasions such as; weddings, proms, a night out on the town, special events, vacations & etc. 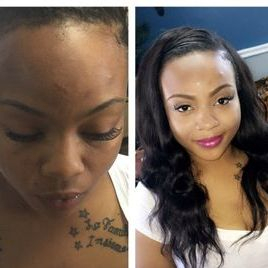 Make up services include, airbrush, eyebrow arch, eye lash installation, & extensions. Strengthening STS System by Design Essentials. The Design Essentials Strengthening Therapy System Express (STS Express) is a three step system designed to maximize manageability and increase the time your style lasts, while simultaneously making your hair stronger and repairing damage. 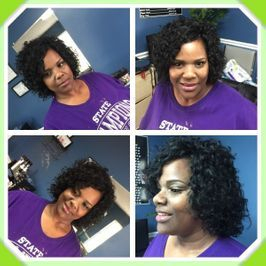 STS Express does this through an amino-acid infused smoothing and thermal treatment that temporarily straightens and smooth frizzy, naturally curly, transitioning, multi-textured, and/or chemically altered hair for approximately 12 weeks. The benefits include “long lasting smooth, intense frizz protection, enhanced manageability. 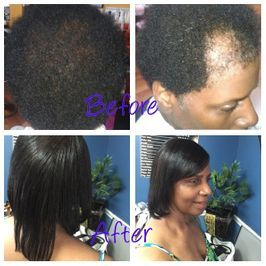 hair growth, safe and effective (Formaldehyde free), proven on all hair textures”. Sew-ins are actually a form of weave for the hair that you can actually sew into your hair rather than glue onto your scalp. 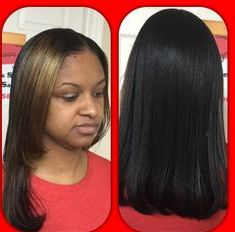 The sew-ins hairstyles are sewed in onto cornrows braids against the scalp or weave cap. Sew In, enables the natural hair to grow out and is worn as a protective style especially during harsh weather conditions. 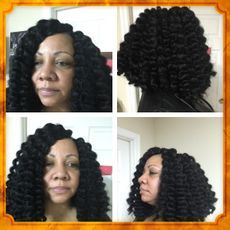 Crochet braids can be worn straight, curly, twisted or braided. 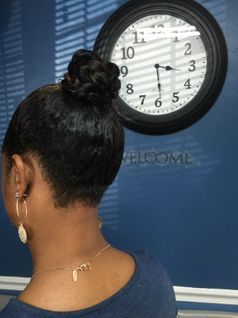 Natural Hair is Relaxer-free hair and is typically styled by using twist out styles, braids, corn rolls & etc., as protective styles in order to promote less manipulation (combing, brushing, tugging, pulling & etc.) which can lead to hair breakage. up Do style with pull up bun with beautifully braided hair wrap around and side swoop bangs. 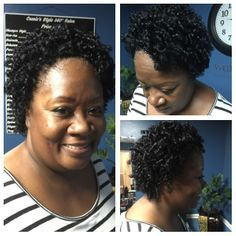 Hair Silk style on natural hair, silk out to create a soft carefree style. 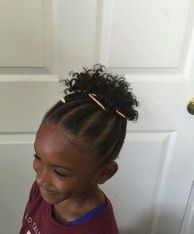 Children hairstyles, a natural protective style consist of braid with soft curls from the crown section. Can be worn for any occasion; school, church or a social events etc.